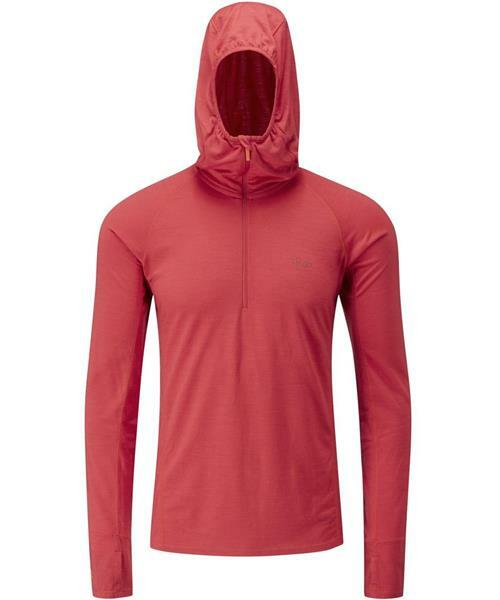 The Merino +™ 160 Hoody is a mid-weight baselayer hoody optimised for warmth, temperature regulation and multi-day use. Made from Rab's unique Merino +™ fabric, created using a combination of superfine Merino wool and polyester with 37.5™ Technology, all of their Merino +™ baselayers are designed to maximise temperature regulation , offer unrivalled levels of warmth and to control odour performance during multi-day use. Merino +™ baselayers are designed in a slim fit to be worn next to skin.